I am excited to be back with you for another post. I hope you all had a very special holiday and New Year! There hasn't been a fresh post for a few weeks and I realize this might be frustrating to visitors. My point of view concerns the attitude of posting within a particular time frame. Meaning, instead of rushing posts willy-nilly, ignoring mistakes, I sometimes choose to take a while to be certain they fit the season and month, maybe a holiday and a perceived date, kept within my own comfort zone. I'm taking a little too long - maybe so! I take as long a span as I feel is needed. The amount of days and weeks that are required. A quirk of mine. That might seem like a cop out, and I admit the idea is hard to nail down or describe very well, but that's how it is. Try to look into the past of the blog now and again. Then look forward to an article that hopefully will contain a certain degree of substance while it fits into the surroundings of the year; not too early and not too late. 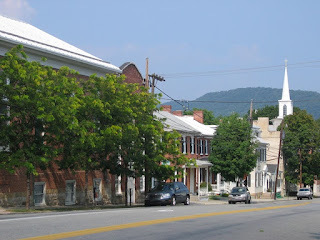 Every time I polish up a post, whether with a photo, a finishing paragraph, or occasionally an added touch of research in the right portion, I feel a minor sense of accomplishment because you are watching for and judging the level of value that is or is not attained.The same kind of consideration as when relating information about the counties of Westmoreland and Fayette, dear to my heart and soul. There's a ton of patriotic pride canvasing Pennsylvania as well. 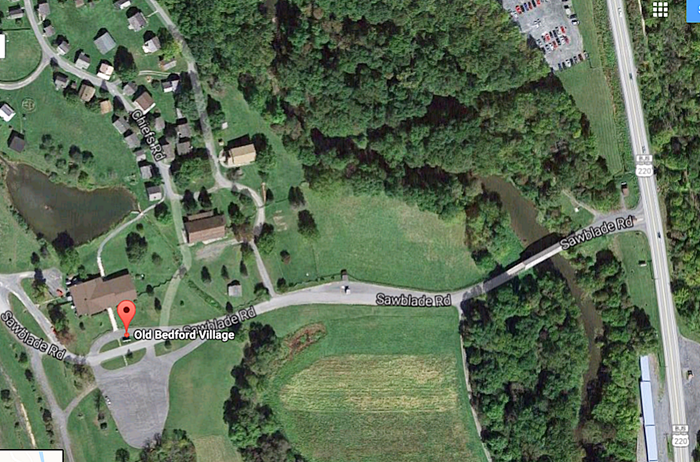 What other state has Valley Forge and Gettysburg? With that mini-statement having been said, we are now going to do a switch in giving a handful of details of a place far afield from the usual research and study: back east, in Bedford. Surprised? Don't be. 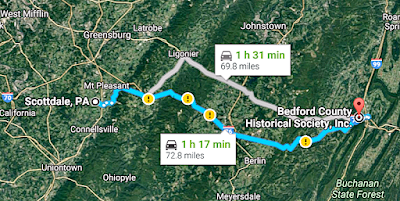 On an early autumn morning of 2016 with off and on rainy weather, I left on a trip east on Route 31 through Somerset to Bedford county and the Glades Pike.and further east. I had put off the journey for way too long, believe me. 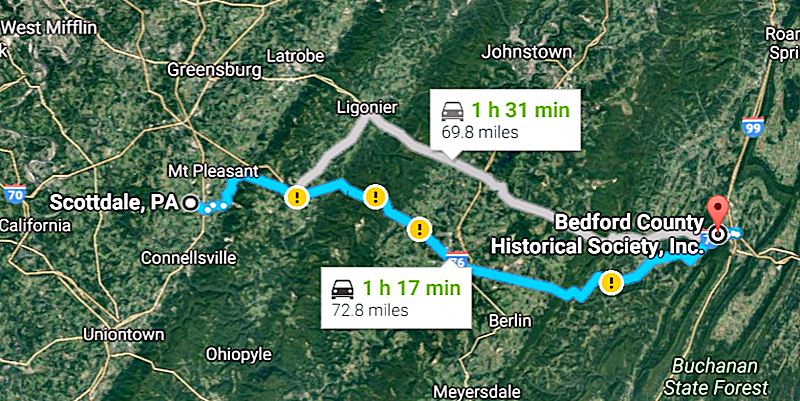 A year and a half ago, (it's difficult to believe e post was uploaded that long ago), Fayette/Westmoreland Forgotten History carried a post entitled "Excursion To Somerset." We do pass through the same county again, this time to throw some light on Bedford County. Specifically Bedford, the old county seat. Do bear with me, it's been a long time since I've done a post of this sort, now hasn't it? 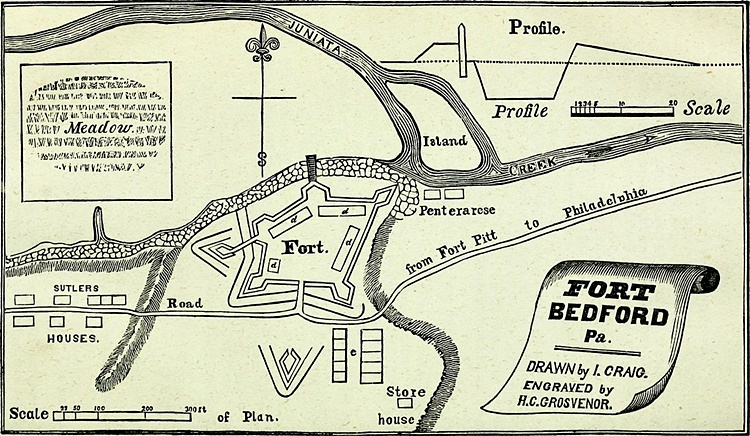 In 1756, the fort experienced French and Indian troubles at the same time as Fort Ligonier. The main destination was the Fort Bedford Museum. Hours are 10:00 a. m. to 5:00. p. m.
It was a good day for me, as I didn't work. Always a fairly good day! My old camera and some snacks accompanied me along with some family members. I had previously contacted the Museum. So far, so good. I had failed to discover that Bedford Village was not open on a Wednesday while the Museum actually IS! OK. Well, my bad, however access to both might appear to be a reasonable assumption to make for one or the other on the same day. The excursion was really another step in a more recent plan to become better acquainted with the forts of this grand region. I decided this would be a fair place to continue another aspect of research and also have a bit of fun. 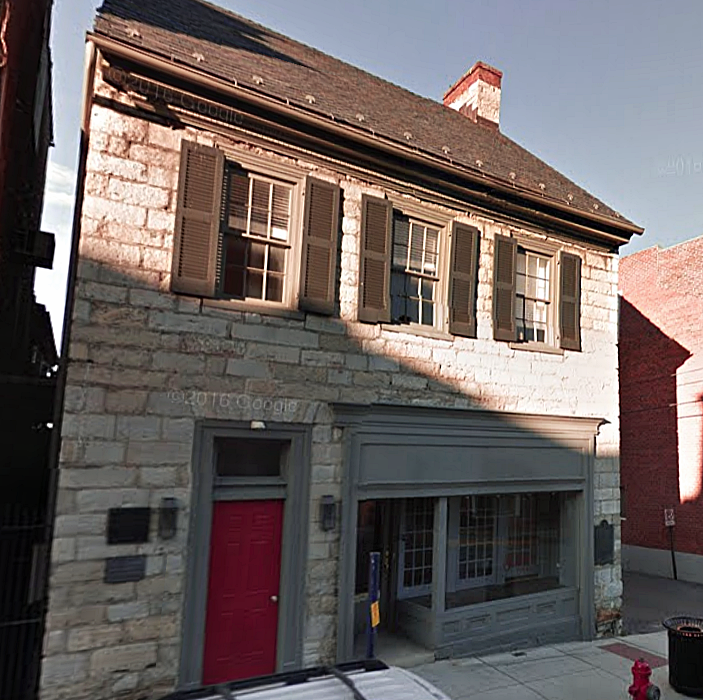 The tavern was erected by Robert Callender, an Indian trader, on lands he has purchased in 1762. It was a hotbed of protest during the Whiskey Rebellion. Oddly enough, while checking Google Maps I discovered the fort is shown to be located at a different site than is traditionally known: directly behind the Museum. The truth may come as a surprise to many. The actual location is disputed and under a cloud of doubt. 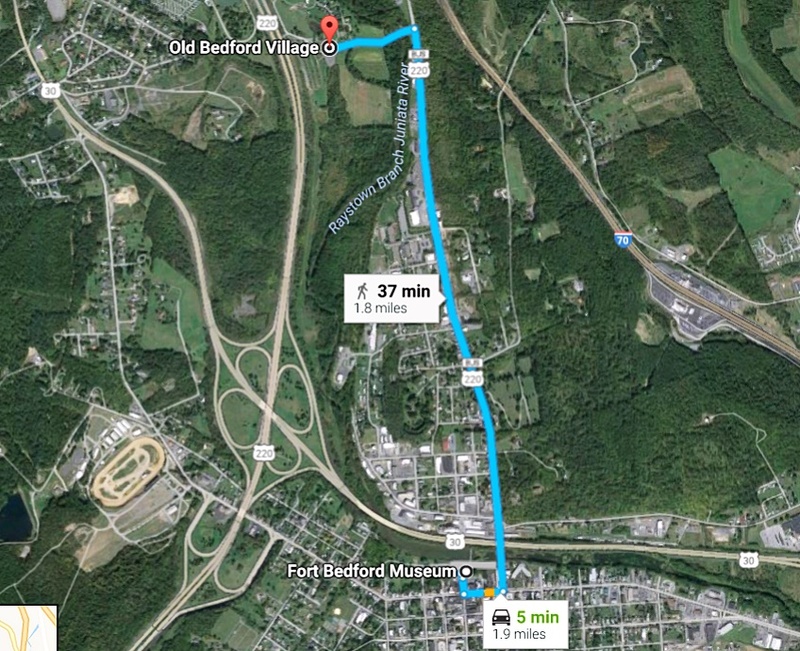 Bedford was settled as early as 1751 and laid out in 1766. 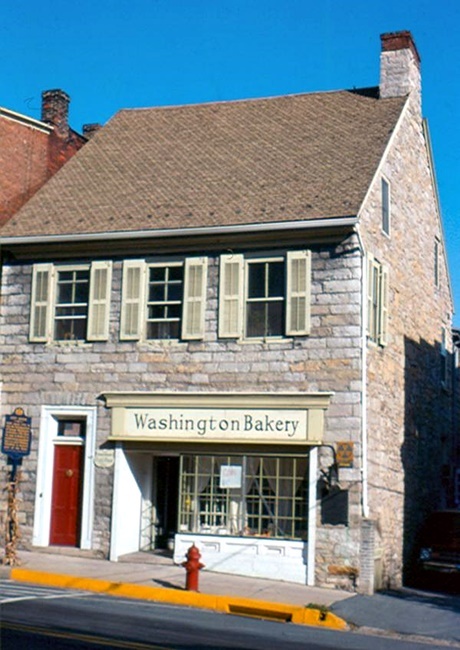 The borough was incorporated in 1795. Was the parking lot reserved for only silver and white cars? YA! They didn't suddenly close for repairs! On arriving and making a donation to the cause, I met Jade, the receptionist, a very nice person, although she wasn't into email. She told me the basics and said we could look around on our own if we didn't mind. I was also informed that photography was not an issue. I thank the Fort Bedford and The Bedford Heritage Trust folks for kindly allowing this opportunity to post some of their fascinating items they have carefully examined, collected and catalogued. 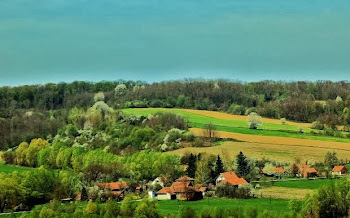 Believe me, you will want to take a trip of your own some fine day and see this for yourselves,; there is much more to be discovered than I am giving a glimpse of here! I shared some of what we observed for ourselves. Pardon me, the photos are not even up to my usual average standard as the rooms were rather dimly lit. Quite a bit of history is contained there in spite of nothing at the Indian Artifact Exhibit as of yet. No Indian artifacts. A reason to return! nothing like these exquisite, old rifles, eh? now that is a GUN! I bought a couple of 'souvenirs' at the gift shop for my growing collection which I'll upload later. 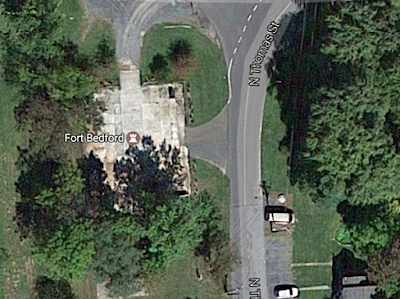 Before moving on, I want to show the traditional site of Fort Bedford and the reconstruction of the fort itself. At one time, it housed as many as 800 men. There are many significant sights surrounding this location. 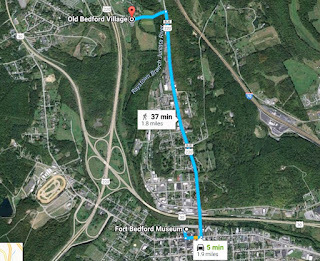 Being limited time wise except for a quick stop at the Bedford Tavern, a few photos would have to suffice. 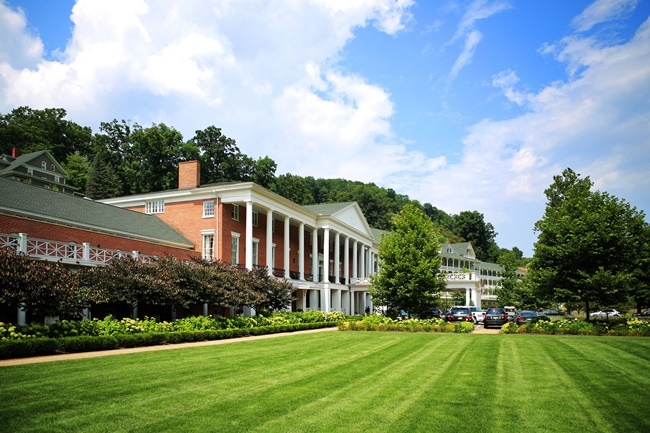 Many illustrious and prominent political figures stayed here, especially at the Bedford Springs Hotel, (shown below). This includes such famous people as, President James Buchanan, William Henry Harrison, Zachary Taylor, Benjamin Harrison, James Polk and Rutheford B. Hayes. The list could go on. They all came here along the Lincoln Highway back in the 1800's. My personal feelings about Bedford couldn't be higher. What a wonderful town, brimming with tourists, well kept buildings and stores; a pleasant atmosphere to spend time in. One particular site that intrigued me most was the Espy House, at 123 East Pitt St. built in 1766. It was named after David Espy, a friend of Washington. 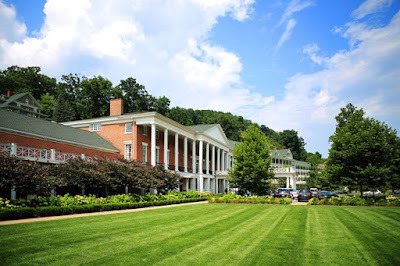 'The Father of our Country' stayed here and kept his headquarters in 1794 during the famous Whiskey Rebellion. The Espy House was also claimed to be General Arthur St. Clair's office when he was active here. Espy House on East Pitt.St. In the afternoon I took the time to get over to Hoke-E-Geez big flea market down on 145 Bedford Plaza Rd. There's a real variety in their wares. I added a few more items of some historical value along with a few old coins of monetary value too. Nothing that rare, I just get a hankering for a few now and then.Well, the items will probably be enumerated on another post anyway. Thanks for the patronage! Have you learned something of interest? I plan to see you soon for more articles of this ilk. As always, please write to me, and better yet, COMMENT on the blog posts and give your opinions and ideas! You deserve to be heard.